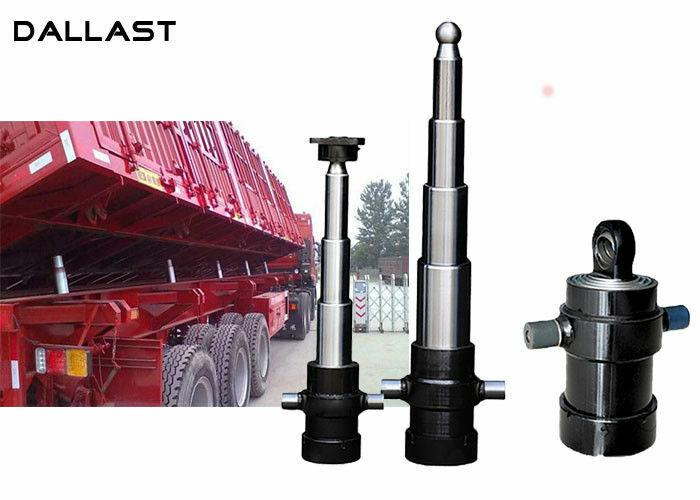 Rollover cylinder is a single-acting multi-stage hydraulic cylinder, the main role in the trailer, semi-trailer modification, dump truck rollover compartment lift cylinder. Reasonable design, compact structure. Production of a spherical hinge shaft, earrings hinge shaft and other connections, a variety of processes to choose from. 2.How to ship your product? We are transported by sea, by air or by international express. Yes. OEM service is available. We are pleased to process according to the customer's drawings. 5. Is your design reasonable?